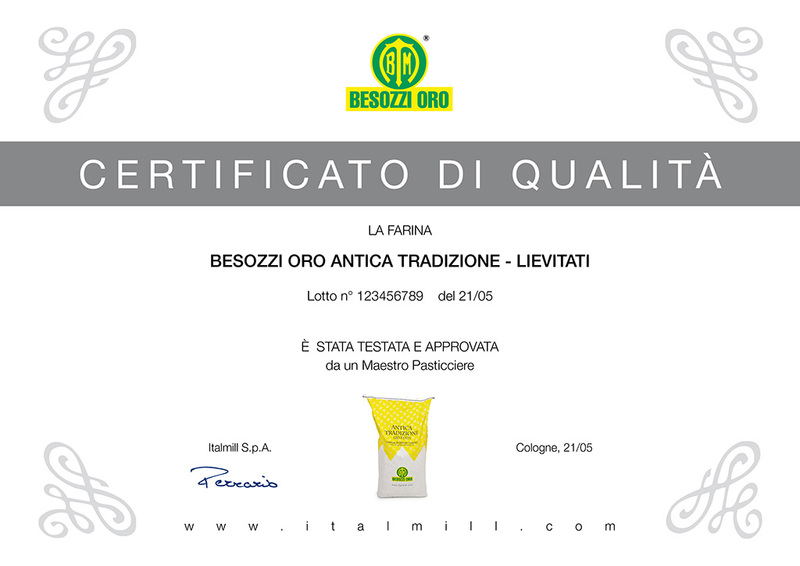 The pride and joy of Italmill, Besozzi Oro Antica Tradizione Flour is developed in collaboration with prestigious master bakers. They personally test each batch of Antica Tradizione Lievitati, thereby ensuring optimum results for artisan bakers. Below we have listed our most recent batches of Besozzi Oro Antica Tradizione – Lievitati. Click on the batch number to download the respective certificate of compliance (in PDF format).